Mike Guli has been designing and building historical costumes for over thirty-five years. His specialty has been the making of early American leather clothing and accessories. 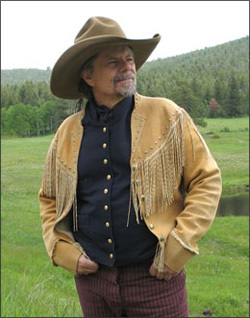 Mike has produced clothing for movies such as “The Mountain Man” and “Made in America ”, as well as garments for museums such as the Denver Art Museum and the Buffalo Bill Museum in Cody , WY. Mike began his education at the School of Visual Arts in New York City, where he studied painting, sculpture and clothing design, as well as Art History. 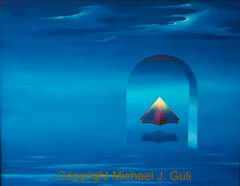 He then attended Adelphi University where he graduated with a degree in Art Education. Upon graduation, Mike was hired by the university as the Assistant Director, and eventually Director, of Arts and Crafts. After several years at Adelphi, Mike was hired by North Shore University Hospital as an Art Therapist, providing art therapy for drug dependent patients. In 1976, Mike decided to follow his first love – the history of the American Old West. He moved to Colorado and began creating historically inspired garments and products. Mike’s interest in the history of early America and the Old West developed out of his fascination with the men and women of that period. He combined his passion for history with his passion for creating and turned them into a career that has taken him from one end of the country to the other, as well as, to Europe and Asia.